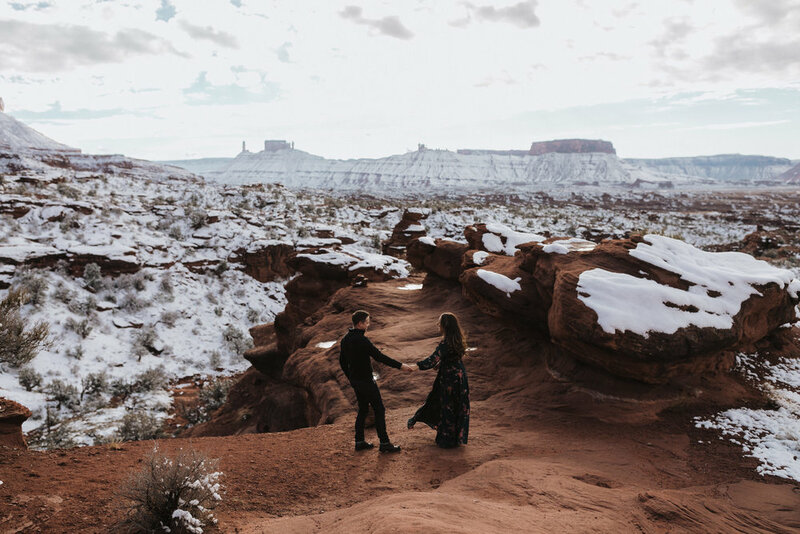 We had so much fun hanging out with Rachael and Brenden in Moab! 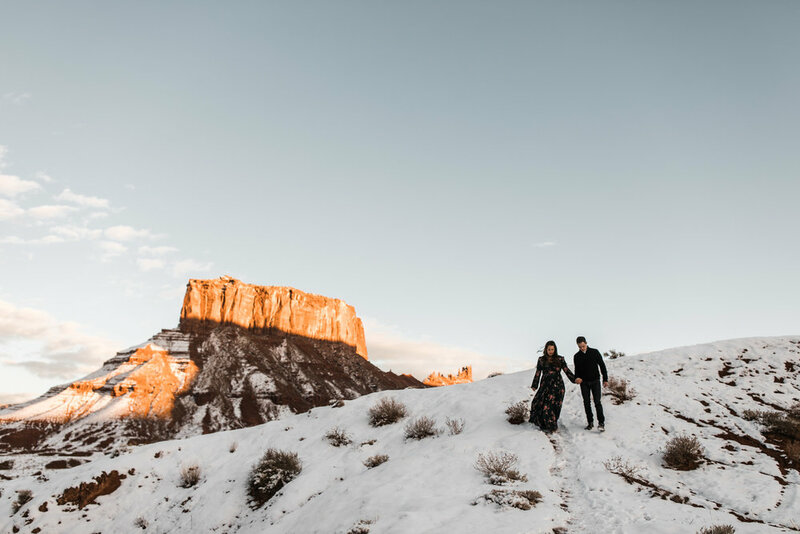 They wanted a desert engagement session somewhere they could let their dog run around and explore while we took photos, and we were all so excited to see the desert dusted in snow when we arrived! 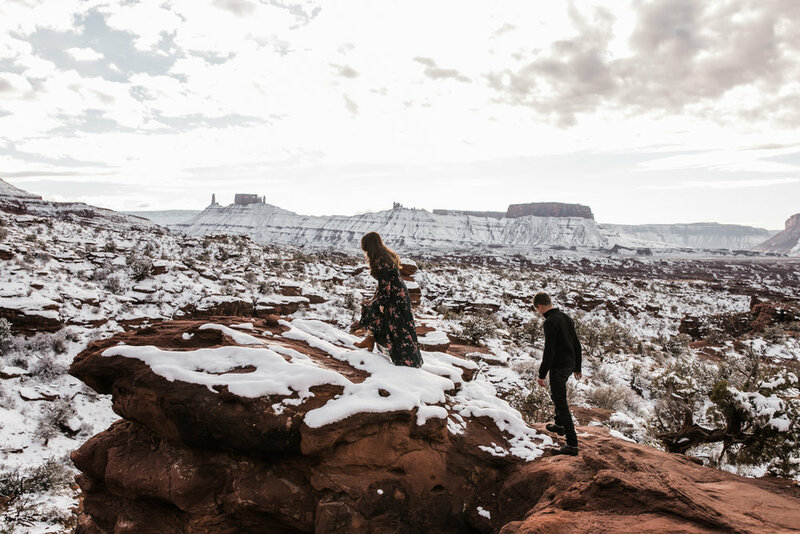 We loved exploring with these two, hiking around some of the rad mesas and towers around Moab.